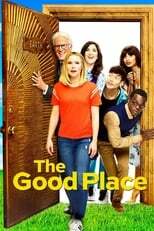 Where can you stream The Good Place? On 2016-09-19 Sci-Fi & Fantasy/Comedy TV Series The Good Place first aired on NBC. Written and created by Michael Schur, and produced by Fremulon & 3 Arts Entertainment, The Good Place will return and was last broadcasted on 2019-01-24.